F-expansion method is an effective method to construct exact solutions of nonlinear evolution eq-uations. 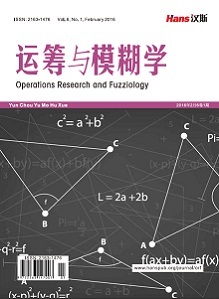 This paper applies F-expansion to study a class of KdV-type equation, and obtain affluent exact solutions of the equation. Moreover, the graphs of such solutions are depicted. Wang, M.L., Zhou, Y.B. and Li, Z.B. (1996) Application of a Homogeneous Balance Method to Exact Solution of Nonlinear Equations in Mathematical Physics. Physics Letters A, 216, 67-75. Parkes, E.J. and Duffy, B.R. (1996) An Automated tanh-Function Method for Finding Solitary Wave Solutions to Non-Linear Evolution Equations. Computer Physics Communications, 98, 288-300. Tam, H.W., Ma, W.X., Hu, X.B., et al. (2000) The Hirota-Satsuma Coupled KdV Equation and a Coupled Ito System Revisited. Journal of the Physical Society of Japan, 69, 45-52. 屠规彰. Boussinesq方程的Bäcklund变换与守恒律[J]. 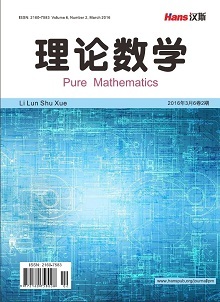 应用数学学报, 1981, 4(1): 63-68. Zedan, H.A. (2011) Exact Solutions for the Generalized KdV Equation by Using Bäcklund Transformations. Journal of the Franklin Institute, 348, 1751-1768. Ablowitz, M.J. and Clarkson, P.A. (1991) Solitons, Nonlinear Evolution Equations and Inverse Scattering. Cambridge University Press, New York. Matveev, V.B. and Salle, M.A. (1991) Darbooux Transformation and So-liton. Springer, Berlin. 张赛, 李国放, 王宁. 应用指数函数方法求解KdV型方程[J]. 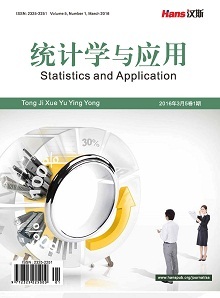 应用数学进展, 2015, 4(4): 369-375.